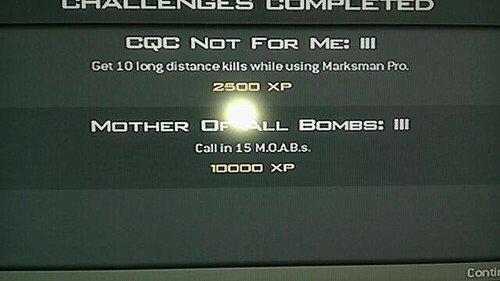 I haven’t played COD MW3 in a while, but my clan leader sent me this picture yesterday of a challenge he unlocked for getting the 15th M.O.A.B. It’s actually more around his 50th, but I don’t think they started counting them until the last prestige update. Anyway, I thought I would share since you don’t get to see one everyday. One day, I’ll get one. One day.